David Griffin Photography is focused on combining still imagery, moving images, and sound to create compelling short-form documentary works for organizations, businesses, and individuals. (See our services page for what we can do for you.) Whether the job is showcasing your business, an artist seeking to connect with their audience, advocating for a cause, documenting an outdoor event, or capturing a performance we have the skills, tools and project management expertise to get the job done. While photography is at the core of I do, I consider myself more of a storyteller who uses photography, video, and the written word to communicate through a variety of media, from streaming video to fine art prints. Of all our senses, sight and sound dominate how we interact with the world. Our ideas, messages, and stories are best communicated when spoken words and powerful imagery are combined together. Dave is currently president of the Organization for the Assabet River, a member of the Maynard Historical Commission, president of the Maynard Historical Society, occasional technical advisor to WAVM - a student-run radio/tv station, and a corporator for Emerson Hospital. 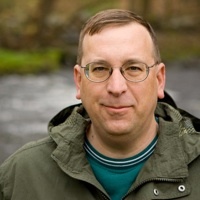 He was formerly a consulting software engineer for Novell, Inc. writing technical articles and producing podcasts for the Kablink open source collaboration project, which he was a member of the original design team as part of SiteScape. Dave's parents gave him his first camera at age 9 and he has been photographing the world around him ever since. At 14 he had his own black & white darkroom, he's used a wide variety of cameras over the years, and has been a digital photographer since 1995. Also deeply active in our community, Dave's wife Betsy served on the Maynard School Committee for over a decade. She is currently an adult leader and trainer for the Girl Scouts of Eastern Massachusetts and a board member for the Friends of the Assabet River National Wildlife Refuge. Betsy is a professional seamstress and operates Betsy Griffin Sewing and Quilting providing individual, production, and instructional services. Avid kayakers, both Dave and Betsy spend many hours on the Assabet River and other local quiet waterways, exploring the natural wonders in our own backyards. A significant portion of Dave's photography is taken from a kayak, providing a unique perspective of local waterways. Dave's photographs have been published in newspapers such as the Boston Globe Magazine, Portland Magazine, the Massachusetts Municipal Calendar, and in other regional publications. In 2003 one of Dave's photographs was selected as the signature image for the Tom's of Maine River Awareness Campaign. The photo was published for conferences, on DVD covers, and in Nature Conservancy magazine. It also appeared on the back of countless toothpaste tubes. Dave's photographs are on display in a number of natural history kiosks, state buildings, and in the homes and offices of environmental leaders in Massachusetts. There's always something new to learn and Dave and Betsy combine travel with education through workshops taught master photographer Charles Glatzer's Shoot the Light Workshops at Bosque del Apache; Homer, Alaska; South Dakota; Yellowstone; and Wyoming - taking some side trips along the way to White Sands, the Kenai Peninsula, and the Badlands. 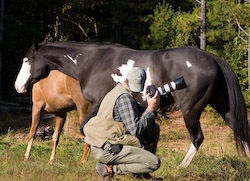 Dave has extended his knowledge of photographic and video production through the Maine Media Workshops and the Epson Print Academy. Dave is member of the North American Nature Photographers Association (NANPA) a lifetime member of NatureScapes.Net. David Griffin Photography is an institutional member of the American Assocation for State and Local History (AASLH).